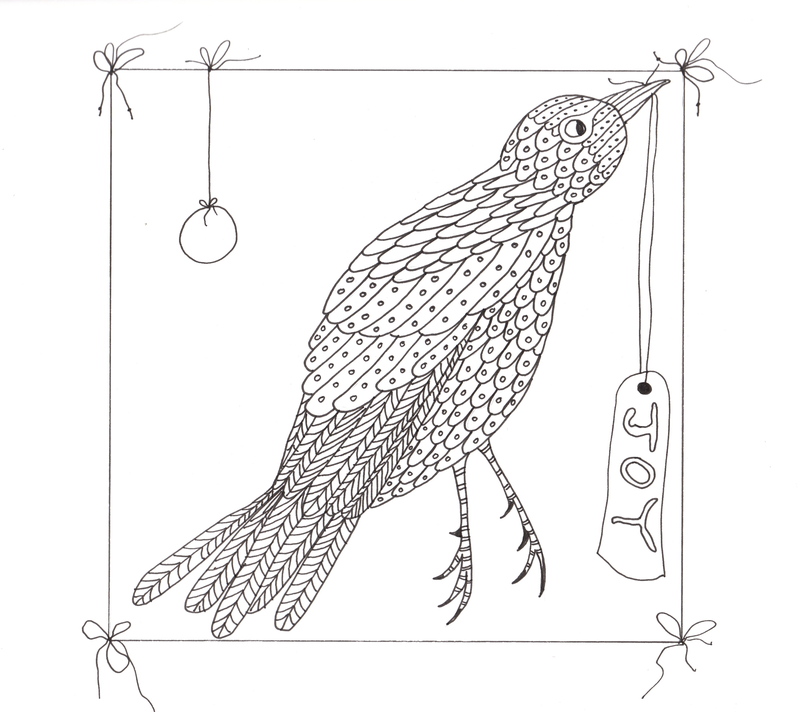 Challenge block No 6 – blackbird in disguise. I was thinking of the Gabriella Quilt… those darn blackbirds and their spindly yellow legs…. Can I get away with this.? Now what do I do with it.? But their is there too much detail in the bird. I could do it in shades of black and have a red cherry, yellow beak and yellow legs. It would float on the background. I think I will color it in the computer and see what that looks like? Previous PostGabriella Goodness and her Angelic friends.